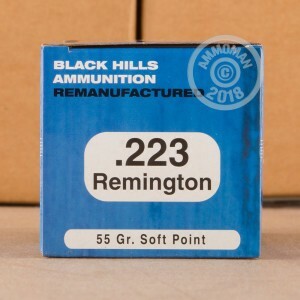 .223 Remington has become an American staple since the arrival of the AR-15. 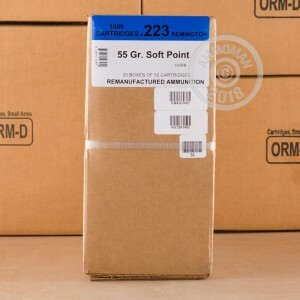 With this staple, civilian assault rifle round, you want a company that supplies the military with ammunition, so that you know you are getting the perfect rounds for your rifle. Black Hills is that manufacturer. They make sure all of their rounds are up to strict standards, and even supply the military with ammo. 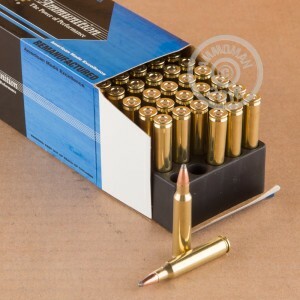 This ammo is great for sighting in your rifle, and will also perform well for varmint hunting. Don't miss out on these great range rounds. WARNING: More so than newly loaded ammo, remanufactured ammo could result in more instances of functional issues like squibs or other failures to fire. These types of failures could damage your gun, or even result in physical injury or death. Also, be sure to check your owner’s manual before using remanufactured ammo because some firearms manufacturers consider the use of remanufactured ammo to void warranties. For these reasons, be sure to tell others about these issues before you give them remanufactured ammo.